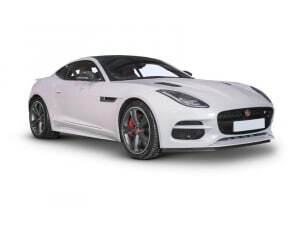 Jaguar are an iconic brand with a deserved following by motor enthusiasts and casual fans alike. From early beginnings in the 1930s they have grown to be synonymous with beautiful looking cars with incredible performance. The current Jaguar model list are all brilliant examples of this, with the E-Pace the latest model to exhibit these qualities. The upmarket and strong performing F-Pace is another fantastic lease option. Alternatively, Jaguar offer a range of handsome looking saloons with unrivalled driving experience in the XE, XF and XJ. For true sports performance look to the F-Type. 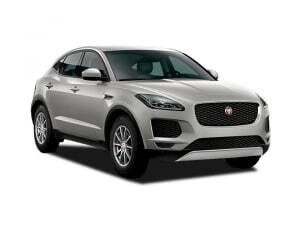 The Jaguar E-Pace is a medium sized SUV offering sporty and stylish exterior looks for affordable rates. The Jaguar F-Pace is an athletic styled SUV that offers great economy, amounts of space and driver comfort. The Jaguar F-Type is an aspiring sports car with gorgeous looks, fantastic engine sound and enjoyable driving experience. The Jaguar I-Pace is an all-electric performance SUV with remarkable range, instant performance and exterior style. The Jaguar XE is a handsome saloon that is a joy to drive with sharp handling and a smart looking cabin. The Jaguar XF is a poised saloon with smart exterior styling, superb handling and improved size for additional legroom. The Jaguar XJ is great to drive with sophisticated exterior style, enjoyable driving experience and well equipped interior.